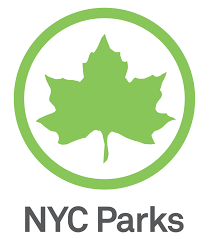 Fort Tryon Park extends from 192nd Street and Fort Washington Avenue northward to Riverside Drive near 200th Street. It is framed on the west by the West Side Highway and to the east by Broadway. Take the A train to 190th Street. Take the elevator and stairs up to Fort Washington Avenue and walk north (to your right as you come up the stairs from the station). The tall stone pillars in Margaret Corbin Circle mark the southern entrance to the park, and the Heather Garden is just inside. Take the M4 or M98 bus north to its last stop, which will be marked either “192nd Street,” “190th Street,” “Cloisters,” or “Margaret Corbin Circle.” Please ask the bus driver if the bus goes to Fort Tryon Park. The bus will leave you at the park’s southern entrance. From Manhattan and Brooklyn, Queens, or Long Island via the Triborough (RFK) Bridge or 59th Street (Edward Koch Queensboro) Bridges and the Midtown Tunnel, take the FDR/Harlem River Drive north to the Amsterdam Avenue/George Washington Bridge exit. At the light, make a right onto Amsterdam Avenue. Proceed north to 179th Street. Make a left onto 179th Street and proceed west to Fort Washington Avenue. At Fort Washington Avenue, turn right and proceed north to Margaret Corbin Circle. This is the southern entrance to Fort Tryon Park. From Westchester County and parts of Connecticut, take the Henry Hudson Parkway South to the exit for Riverside Drive. Stay to the left in the exit lane. At the stop sign, make a left onto Riverside Drive. Stay in the left lane on Riverside Drive, which turns back into the Henry Hudson Parkway northbound. Take Fort Tryon Park Exit, the next exit off of the highway. From Long Island, Queens (via the Whitestone or Throgs Neck Bridges) or Connecticut, take the Cross-Bronx Expressway to the last exit in New York (Henry Hudson Parkway South–181st Street, Exit 1). Stay to the right in the exit lane until you come to the stoplight. At the light, take a right onto 181st Street. Make the first left off of 181st Street onto Cabrini Boulevard. Follow Cabrini Boulevard to its northern terminus, which is Margaret Corbin Circle. Limited, free parking is available at the New Leaf Restaurant and The Met Cloisters.